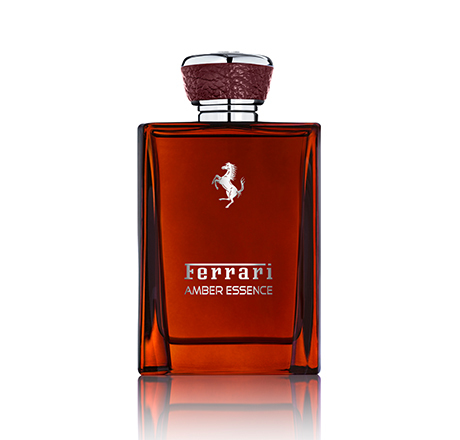 There is one review of Ferrari Amber Essence. Like Marc (Robes08) warns in his YouTube review, Ferrari Amber essence is more like a spicy/woody fragrance than an amber-dominant fragrance. It's part of the same group of modestly-priced ($36 for 100ml on FragranceNet) recent releases from Ferrari, though, that are overall quite great quality, particularly for the price. Its notes seem mostly correct, as it comes like a sandalwood/pepper while actually being made of cashmere woods, patchouli, nutmeg, and yes, amber, however little. It's really not a sweet mix, but certainly leans somewhat spicy, and the spiciness projects more than the woods, so if anything, its spiciness could be overbearing to some, but I kind of enjoy it. Other offerings in the line are better, though: Noble Fig, Bright Neroli, and especially Radiant Bergamot. Still, Amber Essence is a solid composition and value, and also, it's a very good performance, loud on skin for hours. Overall, it's worth checking out, and was a reasonably cheap blind buy risk of mine that mostly paid off in terms of the result. There are no member images of Ferrari Amber Essence yet. Why not be the first? Anyone tried Ferrari Amber Essence Special Edition?